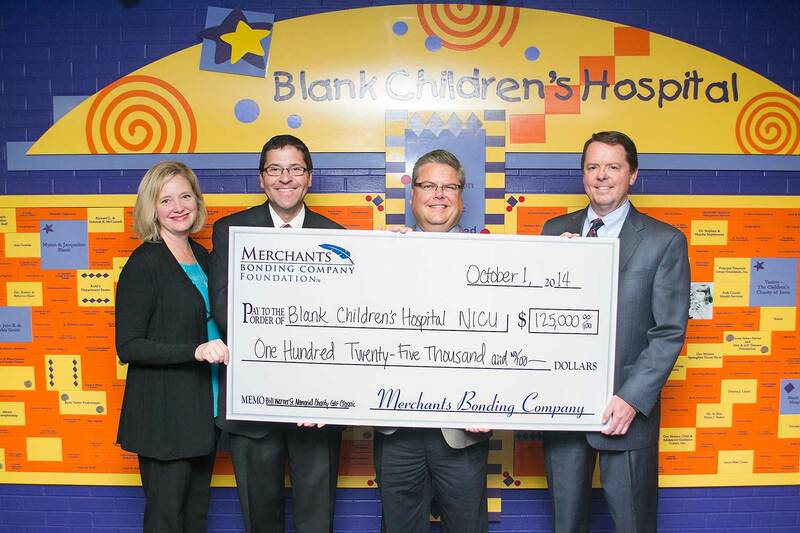 Merchants Bonding Company™ presented a check for $125,000 to Blank Children’s Hospital Neonatal Intensive Care Unit (NICU) today. The money was raised at the Bill Warner Sr. Memorial Charity Golf Classic on Monday, September 22 at Wakonda Club. The charity golf event brought 192 golfers from 26 states to Des Moines to help raise money for three critical pieces of equipment Blank needs for its NICU.